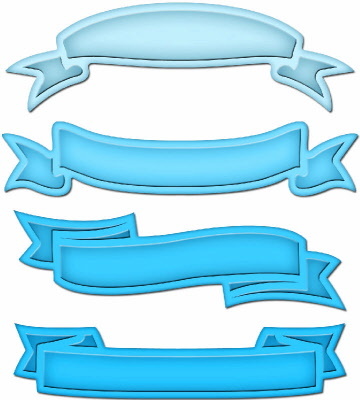 Create the look of ribbon or fabric emblems with the Ribbon Banners die template set. A trendy addition to any card, page or altered ensemble. Spellbinders™ Shapeabilities cut, emboss and stencil with a single die template.